A woman, only known as Annamarie, addressed the High Court in Pretoria on Tuesday, opposing an application for the murder trial of paralympian Oscar Pistorius to be broadcast. In February last year, the same woman requested to address the Pretoria Magistrate's Court on his "mental state" during the sports star's bail hearing. She asked the court to put Pistorius under independent psychiatric observation for 60 days. She also wanted Pretoria chief Magistrate Desmond Nair removed from Pistorius's bail bid. Annamarie claims to be the ex-wife of Dr Gerald Versfeld who amputated Pistorius's legs when he was a child. She believed Pistorius had a mental breakdown. On Tuesday, Judge Dunstan Mlambo told the woman to sit down, saying she was wasting the court's time. The application to film the proceedings was brought by news channel eNCA, joined by media houses, MultiChoice and Eyewitness News. Last week, Frank Snyckers, SC, for MultiChoice and Eyewitness News, told the court that media would use technologically advanced equipment that was not obtrusive and was controlled remotely. Snyckers said media houses had secured the National Prosecuting Authority's support. 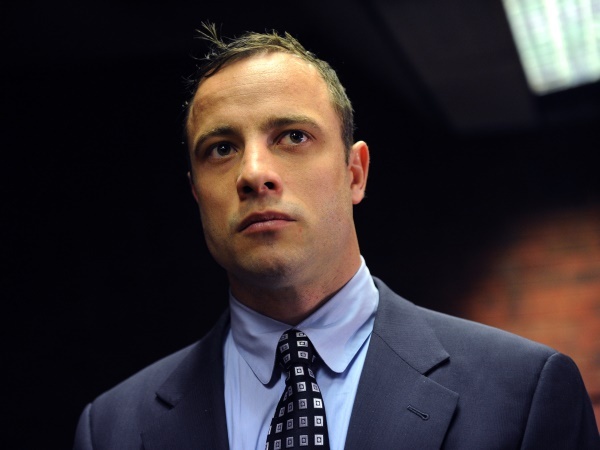 Pistorius's legal team opposed the application arguing that broadcasting the events would lead to an unfair trial. Barry Roux,SC, for Pistorius, asked why his client's trial was not being treated like any other trial. Pistorius is accused of killing Steenkamp, his girlfriend, in February last year. His trial is to be heard in the High Court in Pretoria from March 3 to 20. A 24-hour TV channel dedicated to the trial will be launched on DSTV on March 2.